Warehouse Cleaning | Industrial Cleaning Equipment Ltd. Cleaning internal and external floors of busy warehouse and logistics centres is always going to be a challenge. These are fast moving environments that often operate on a 24-hour basis and constantly accumulate debris, dust and marks. This makes it difficult for operatives to keep the floors clean and safe. The use of robotic floor cleaning machines can certainly help with this challenge. Automated cleaning solutions are ideal for warehouses, distribution centres, and manufacturing facilities and they are being used successfully in these environments today. ICE have extensive experience in this area, having been involved in developing robotic cleaning equipment for the last decade. Our latest robotic machine, the ICE Robo 3, is the most advanced fully automated scrubber dryer on the market. Thanks to its unique laser and sensor technology, it can clean complex areas in a thorough and uniform manner. It offers unlimited cleaning patterns and super-fast mapping, as well as consistent cleaning right up to the edge. Robo 3 offers continuous cleaning for up to 6 hours, plus it completely avoids static, temporary or moving obstacles. It will return to clean any areas that have been missed due to temporary obstacles being placed within the cleaning area. 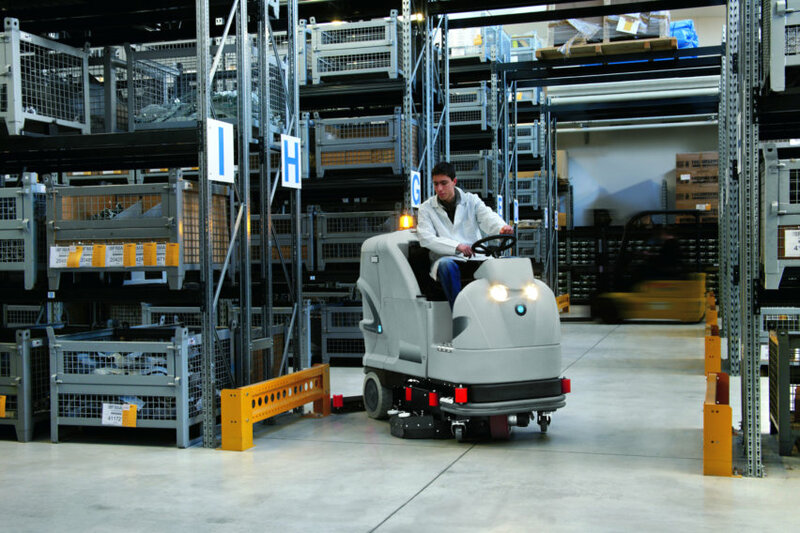 The machine can be set to clean different areas at a time to suit the facility, and it leaves floors clean and dry immediately – therefore dealing with the issue of health & safety or slips and trips. Using robotics as part of the daily cleaning regime not only enhances standards as it gives guaranteed consistent floor cleaning, but it also means that the cleaning resource can focus on other more detailed cleaning tasks that often get missed if the operatives are spending time pushing a floor cleaning machine around.